The obvious post-Hayne Royal Commission comment is that Bank executives with the wrong culture will be trying not to laugh at the recommendations. Some are calling it a waste of time. I think not. In hindsight the Hayne Royal commission was never going to have the time or resources needed to forensically investigate the sector to the satisfaction of everybody, and they haven’t. The criticism is that they have missed a lot of issues and spent too long focusing on “fee for no service” and the sales/profit culture and in so doing missed a host of other issues. In the end, to the relief of the bank sector share prices, it has been a bit of an anti-climax, certainly for those who don’t hold any bank sector shares who, in their indignant disassociation, are looking for some sort of public retribution against the sector. 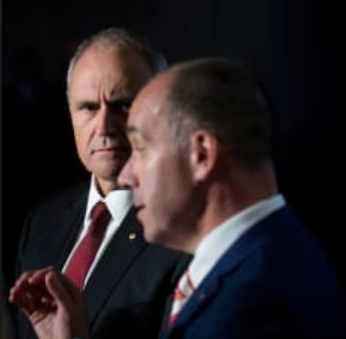 Andrew Thorburn and Ken Henry at the NAB were both named by Hayne and for those who want to see somebody ripped to shreds in the streets, someone to blame, these two, along with twenty-four other individuals and companies that have been referred breaches of the law, will have to do. 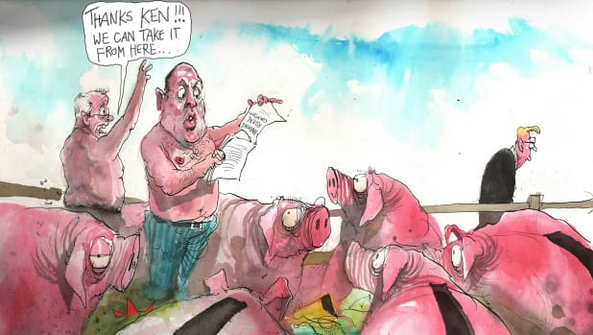 Failures aside, what the Hayne commission needs to be applauded for doing, and has done, is highlight that the dominant financial sector behemoths need a culture change. The problem, as the government, ASIC and APRA already know after many attempts to turn the sector away from a profit culture back to customer service, is that you cannot combat culture with regulation alone. To effect culture change the new culture has to be willingly adopted, not imposed. But in their attempts to impose culture change we now risk the regulators choking the financial system with impractical bureaucracy and, rather than improve the outcome for customers, they obstruct their ability to borrow, lend and transact. It is a difficult job and one that will, on the eve of a Federal election, be perverted by a political point scoring agenda that will obscure the purpose not help it. Whatever they do, our regulators are going to struggle to change the culture. Culture is like picking up rubbish on a running track. It takes a brave act. But if one person picks up a beer can, carries it for 500 yards, dumps it in the bin, and is seen by everybody else, before you know it, everybody is picking up beer cans, there is no litter and the running track is the pride of all its participants. Culture changes with one small act. As of now, a new, better, customer focussed culture is in the hands of some individual employee, somewhere in one of the big financial institutions, who is prepared to speak, to lead, to change, and, in so doing, take the rest of the industry down a different path. 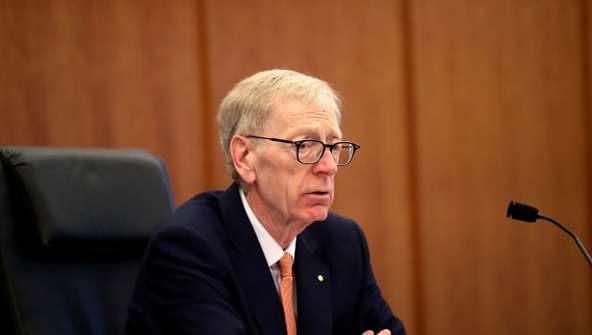 The bank sector culture will only change when someone, behind closed doors, says “We can’t do that” and the Hayne commission has gone a long way to creating the moment for that executive, in the depths of one of the big financial institutions, to change the culture. The Hayne commission has now created a fabulous opportunity for a financial institutions to lead on culture. It will take a bold and potentially unprofitable revolution in the treatment of their customers, but it will be worth it because there are now literally millions of disillusioned bank clients that are prepared to move who will gravitate towards whoever takes the cultural lead. The other takeaway from the Hayne recommendations is that if it takes a Royal Commission to protect us from the financial institutions, and their exertions, despite their best efforts, is still inadequate, then we all need to take some responsibility for our own financial decisions. We are not helpless, but we can only help ourselves if we come up the curve on financial literacy. It isn’t hard. It's quite basic. My son Archie has chosen money markets and business as VCE subjects and as a result is inquisitive and informed and in a position to plan his financial future. Perhaps the government should include financial literacy as a standard syllabus subject and perhaps the individual should stop expecting, when it comes to finance, to be held by the hand like a baby. A fool and their money are easily separated. Perhaps I need to run mass classes on subjects like “Your Super – where is it and what are your options”. Finally, for all its deficiencies and the apparent lack of retribution, the Hayne commission has provided the moment, with limited time and resources, for the bank, insurance and financial planning industries to grasp a new customer focussed culture. They have to be congratulated for that. This is a step in the right direction. But it will still take an individual within a bank, insurance or financial planning industry to make an individual decision that surprises and changes the current culture. No one can force that employee to do that, they have to want to do it. What are you waiting for? Abusing the clients is so 2018.